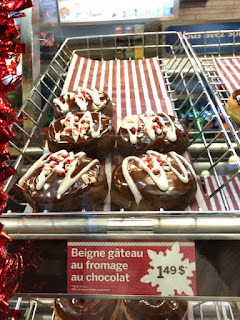 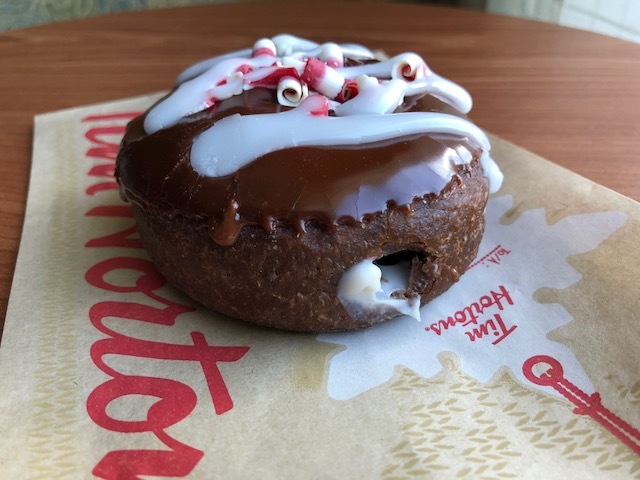 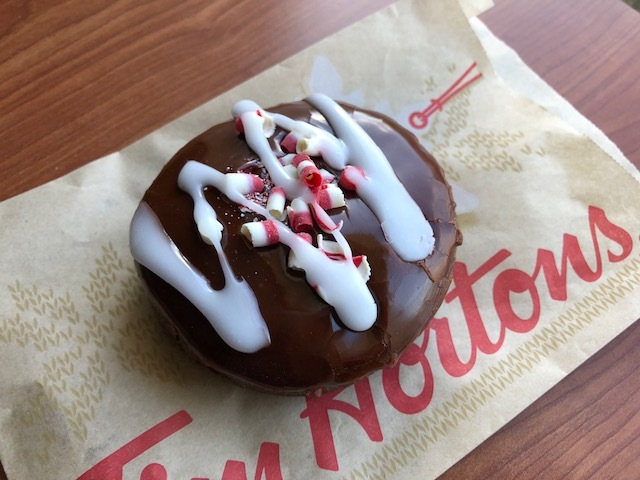 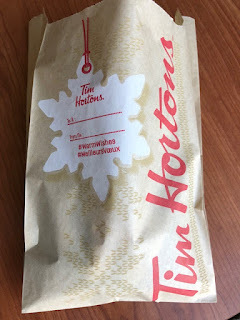 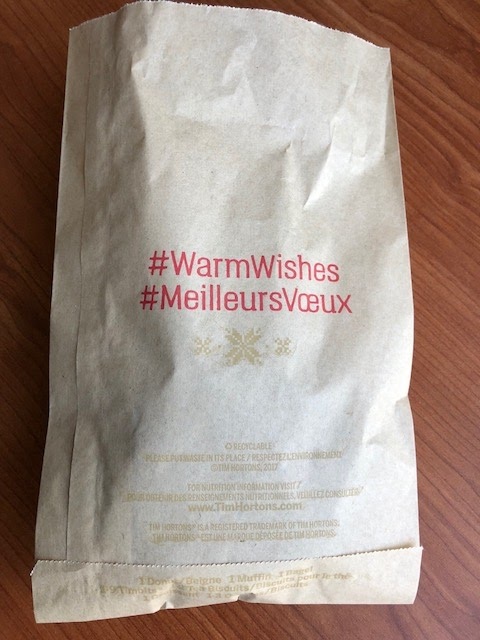 Chocolate Cheesecake Donut is one of the newest items sold at Tim Hortons. It's a double chocolate donut with cheesecake filling, topped with white icing and candy cane ribbons. Cream cheese filling was lightly sour, smooth and had velvety texture. 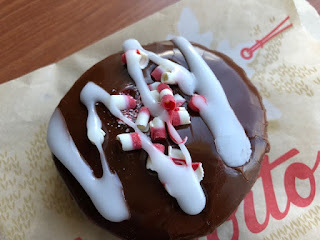 Double chocolate donut was chocolate dough with chocolate icing or fudge on top. The donut was a little bit dried but the filling and the topping helped it less obvious. 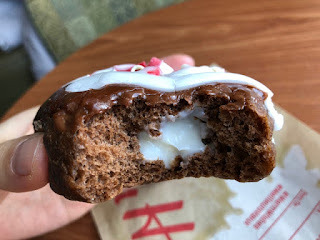 Chocolate and cream cheese filling were much stronger than the andy cane ribbons and I didn't really taste any candy.